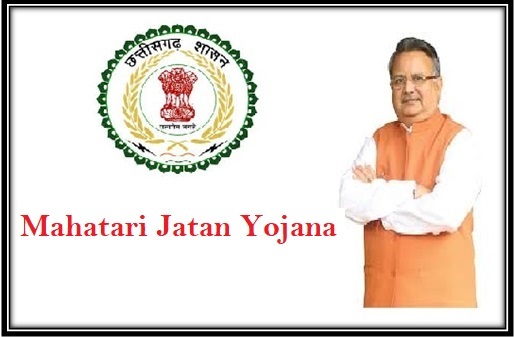 The Chhattisgarh State government has launched Chhattisgarh Mahatari Jatan Yojana, a new scheme to be implemented in the state. Under the scheme the government will provide with healthy food and drink facilities to women who are pregnant and belong to poor families. With this implementation the government aims at providing with balanced nutritional diet and eliminating malnourishment. Objective – By running the scheme the state government’s main objective is to ensure that each pregnant women and her child receives all nutrition required to prevent them from falling prey to malnourishment and diseases on account of nutrition deficiency. Beneficiary – The new scheme will cover over 8818 pregnant women from 6 Anganwadi centers, who belong to poor and backward class families. Duration – The government will run the scheme for six days a week through selected Anganwadi centers within the state. Other Services covered – Under the scheme the state government will also provide with special health care facilities, iron folic acid tablets, vaccinations and health care education to the beneficiary. Other benefits – The government will provide with fresh prepared food to pregnant women during pregnancy stage along with ready packed food and ration facility, keeping in mind the health benefits of unborn child and mother. Under the scheme the government has announced that the thalis distributed at the Anganwadi centers will include rice (130 gms), Soya Oil (10 gms), Mix Dal (30 gms) and Vegetables (80 gms) for individual beneficiary. The centers will provide with 600 grams ready to eat food packets for the beneficiary. On daily basis the beneficiary will obtain over 380.9 calories along with 11.21 Proteins. Under the scheme the government will also provide rice for Rs 0.82 for each BPL beneficiary. Mix dal will be provided at the rate of Rs 3.50 for 30 grams and Soya oil will be provided at the rate of Rs 0.80 for 10 grams. Beneficiary will also get the vegetable for Rs 2.50 for 80 grams. The state government has already set a budget of Rs 8.20 that shall be offered to each beneficiary under the scheme. The government has also announced an additional expense of Rs 0.80 along with the expense on fuel consumption for preparation of the food. Under the scheme the government aims at offering benefit to over two and a half lakh women belonging to various districts within the state. The scheme in various stages will cover different districts including Korea, Beria, Bemetra, Strengh, Navagadh and Khandasara. The state government has taken a step ahead to offer benefit to pregnant women whose families are unable to provide them with balanced diet and nutrition rich food at least two times during the day. This scheme aims at ensuring the healthy development of the womb and mother at the time of pregnancy. The state government of CG has implemented special schemes that offered good quality food for pregnant women and new mothers. The scheme aimed at lowering instances of child malnutrition. But recent reports suggest that these schemes have only been able to offer the benefits to 50% eligible candidates only. When inquired, Anganwadi centers pointed out that beneficiaries, especially those living in cities, don’t want to collect food from these centers. Apart from this, lack of development in the overall infrastructure of Anganwadi centers has reduced their popularity among target beneficiaries in rural parts as well. Lack of awareness and rigid customs also prevent many from availing these benefits.